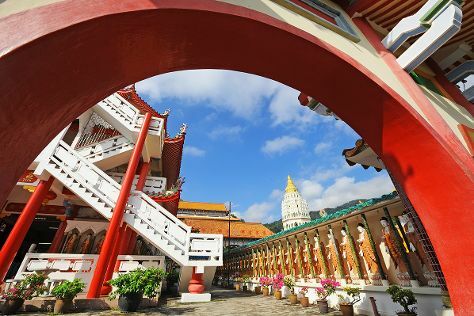 Kick off your visit on the 27th (Sat): get engrossed in the history at Pinang Peranakan Mansion, then examine the collection at Khoo Kongsi, then make a trip to Chew Jetty, and finally take in the spiritual surroundings of Kek Lok Si Temple. To find ratings and other tourist information, use the George Town tour site . Singapore, Singapore to George Town is an approximately 2.5-hour combination of car and flight. You can also do a combination of subway and flight; or drive. Due to the time zone difference, you'll gain 1 hour traveling from Singapore to George Town. In January, daily temperatures in George Town can reach 36°C, while at night they dip to 28°C. Wrap up your sightseeing on the 27th (Sat) early enough to travel back home.